Florida, a state so big that it requires a full day to drive from end to end, has very few culinary claims to fame. Sure, there is the Cuban sandwich that both Tampa and Miami claim responsibility for popularizing in America, but apart from that, it is pretty barren. You're not going to find a famed plate of pasta in Pensacola, and nobody visits Fort Lauderdale for the fried chicken. There is one food item, however, that Florida does better than any other state: The grocery store sub. But not just any grocery store will do -- these sandwiches must be purchased from Publix, the beloved supermarket chain headquartered in the city of Lakeland. While a sub is a style of sandwich you can get pretty much anywhere in the world, Floridians love the Publix sub as much as their college football teams, Pitbull, and air conditioning during a particularly humid summer. 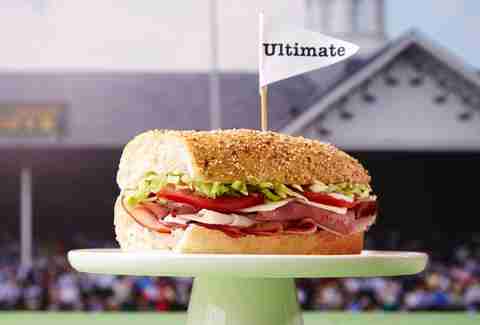 The most fervent of sub eaters even have a nickname for their favorite sandwich: "the Pub Sub." "Publix was my family's grocery store of choice growing up in Miami," says Justin Taylor, a Florida-raised writer who always makes a stop at one of the state's nearly 800 stores when he goes back to visit his in-laws in Pensacola and grandparents in Boynton Beach. Although I didn't grow up with Taylor or in Florida (I lived there briefly in my 20s), he's part of a network of people who I find myself exchanging pictures of my favorite Pub Subs with on a regular basis, like we're grandparents gushing about grandkids or war buddies talking about the old days. "Lately I've taken to picking one up on my way to the airport when I'm leaving so I have something good to eat [on the] plane," Taylor says. Taylor isn't alone in his obsession. Not only do Publix subs have their own Facebook fan page, particular varieties also have their own dedicated fan pages. There is also a nearly four-minute-long song created in the sub's honor that will likely get stuck in your head. And if you still aren't convinced, just click on one of the many articles with headlines like "The Publix Sub Is Hands Down the Best Sandwich in the Country." According to Arielle Castillo, a reporter for Major League Soccer and a native Floridian, the subs are also quite nostalgic. "Yes, they're good sandwiches, but they're also the sandwiches you'd get before a beach day, or while skipping high school or something," she says. "There's something Proustian about them." So what exactly makes these grocery store subs so excellent? Like so much of the culture and the residents in Florida, the sub (or hero, or grinder, or whatever you chose to call it) migrated down south from the east coast. 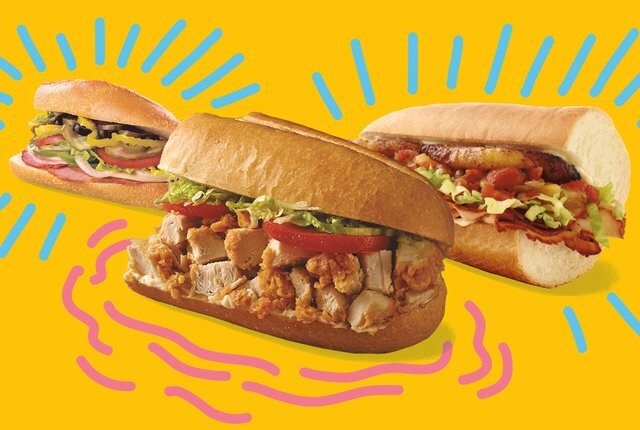 There is nothing about a sub from Publix that would make you immediately think of palm trees and pink flamingos; there are no ingredients that are unique to the Sunshine State. 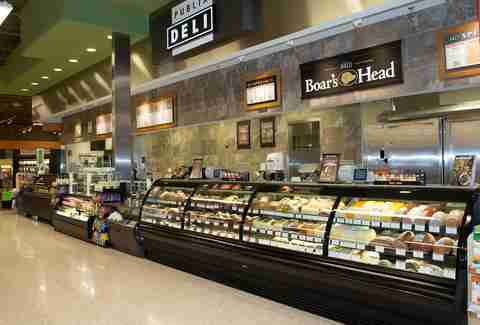 You can get the house deli meat, or you can pay a little more and get cuts from the New York-based Boar's Head. The bread, while baked in house, is just a good version of crusty white sub bread. The vegetables, all chopped fresh from the grocer's produce aisle, is your standard gamut of options that can also be found at any Subway: lettuce, tomato, cucumbers, green peppers, onions, black olives. The sandwich is not fancy, but that is precisely the appeal. Instead of being showy, they are always high-quality and reliable. The ingredients are always fresh and "way better than they needed to be at a supermarket," says Castillo. No matter which location you go to, the result is a large and filling sandwich for less than a $10 bill in most cases. It's also highly customizable. Want a warm turkey sandwich with provolone, lettuce, and a smattering of olives? You can have that. Want it on whole wheat and stacked with tomatoes and jalapeños? That can happen, too. And if you are feeling a little adventurous there are always the subs created in honor of the four local NFL teams like the Tampa Bay Buccaneers Sub that comes topped with plantain chips and guacamole. Most people, however, according to Maria Brous, Publix's director of media and community relations, go for the chicken tender sub -- an option you definitely will not find at Subway. The Publix sub is an accidental Florida icon. There's really no story that connects the sandwich to the state besides the fact that the grocery store saw the sub as a new way to make money at some point in the 1980s, and went on to expand the program a decade later. While chains like Subway and Quiznos were ascending, only to eventually shed those customers and close stores since the 1990s, the popularity of the Publix sub continued to grow. Even though the company has stores scattered throughout the South, Publix is Florida's grocery store, and its humble sub has become the unofficial state sandwich. Subs weren't around when George Jenkins, a former clerk at a local Piggly Wiggly, opened his first market in 1930 in a small art deco building in Winter Haven, a city found almost in the exact center of the state. In the middle of the Great Depression, you could walk out of the hot sun and into the store with its state-of-the-art air conditioning and terrazzo floors and get all your kitchen needs at Publix. A decade later, Jenkins would open the first supermarket in the state, complete with music playing while you shopped, and frozen foods alongside the meat and produce sections. The legend would grow from there, and now, between its status as the state's original big grocery store and its public face as an employee-owned company frequently considered to be one of the best in America to work for, Publix is a rare example of something Floridians from Pensacola to Palm Beach can agree on. It's understandable that the subs, which the company started rolling out in the mid-1980s, would become a lunch or dinner staple for people from all across the state. Yet anybody who's spent enough time in Florida -- whether they're natives, transplants, students, or snowbirds -- will tell you that Publix makes one of the best subs you'll find anywhere. Possibly the closest thing you can find in the United States that compares to the love Floridians have for the Publix sub is a for Pennsylvania-based Wawa's hoagie. The cult-inspiring convenience chain, which is headquartered in Media, Pennsylvania, serves up 80 million of its sandwiches a year. Publix, according to Brous, considers its sales numbers proprietary information. But if you stand around and watch how many subs are made at any Publix at any given hour, multiply that by about 10, then 365, and you will definitely reach an incredibly high number. Factor in the fact that Publix has 1,167 locations across Florida and other southern states compared to Wawa's 750 outposts, and that number jumps even higher. In July 2012, Wawa moved down south and opened up its first Florida store in Orlando. Since then the company has expanded, with plans to open up to 120 more by 2022. Florida, of course, is a huge state, room enough for plenty of sandwiches. But then you drive through Orlando and notice there's something odd about seeing the two companies logos on a highway sign. Pick your side, it asks. Publix sub or Wawa hoagie: Which one do you want? Of course, Publix has never been the only sub game in town and has long had competition before Wawa ever crossed the Florida state line. Subway, Blimpie, Jersey Mike's, Jimmy John's, and Potbelly have all attempted to capitalize on the large population of transplants from the north and midwest. In the 1980s, Miami Subs (now Miami Subs Grill) attempted, and for some time succeeded at, being the most Florida fast-food chain possible (e.g., all neon pink and complete with bottles of Dom Pérignon on the menu, a founder murdered by the mob, and a Pitbull connection), but today you'd have a hard time finding a person from Florida who would pick Miami Subs over Publix. "If you're getting a Publix sandwich, it also means you're visiting Publix, which in my humble opinion is one of the best developments of late capitalism," Castillo says. "For the most part, everything in a Publix -- largely regardless of neighborhood -- is shiny, clean, abundant, and well-air-conditioned. It can be both aspirational and soothing." And that, probably more than anything else, explains why people will always line up to order subs from the deli counter. Florida is a place people go to because they dream of something better, of sunny skies and warm water to swim in. It's a beautiful and bizarre place. There's very little besides the flag and sunshine that unites the north, south, east, and west, but the one thing you can count on is that you'll be able to walk into one of the many clean, well-lit, Publix stores scattered across the state and order a sub exactly as you like it. Jason Diamond is the author of Searching for John Hughes. Follow him on Twitter.